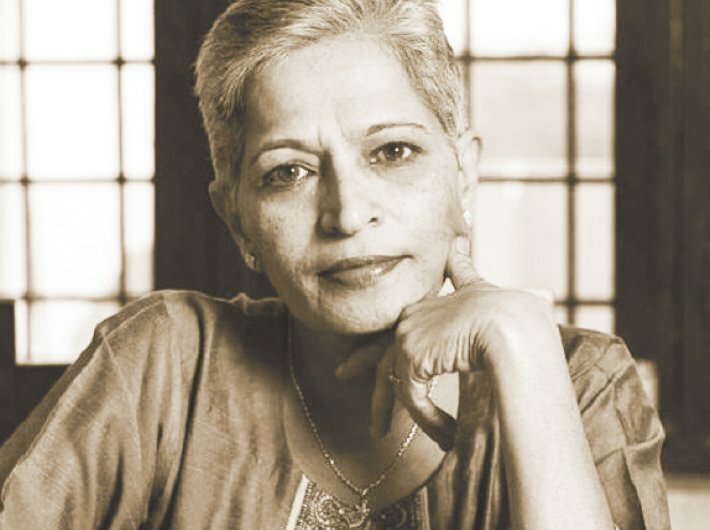 Journalist Gauri Lankesh's murder in Bengaluru on Tuesday has quickly turned into a war of ideologies with intelligentsia and media jumping the gun to blame the Bharatiya Janata Party (BJP) and the RSS for the murder even before the investigating agencies have had the time to open a case file. Protagonist Raskolnikov is lazily ruminating on these lines while intellectualising his crime of killing an old woman named Alyona Ivanovna for no reason. His anxiety emanates not from a sense of guilt but from the fact that he is unable to use the crime to his advantage and banish guilt from his mind. Unlike Raskolnikov’s futile justification of crime, the killers of Gauri Lankesh have found ready-made intellectualisation of the crime thanks to the tendency of a section of the media, politicians and intellectuals to look at the world only through the prism of ideology. I knew Gauri as a colleague. We worked together in Eenadu TV in 1999. Those were rough days for her as she had just moved to Delhi from Bangalore (not Bengaluru then). During the Kargil war she was sent to the battlefront along with Sumanth, one of our best technical heads, also doubling up as a cameraman. Since I had just returned from Kargil, she took a briefing from me and left for the war zone. When she came back, I was amazed to see that she had managed to do a piece-to-camera (PTC, wherein the reporter speaks the camera) standing bang next to a blazing Bofors gun. That needed guts, gumption and perseverance. Her shoots and PTCs were the best in ETV’s coverage of the war. It would be rather naïve to measure Gauri’s spirit and her life from the ideological yardstick. She symbolised something more than a mere ideology. Nothing can justify her brutal murder, apparently carried out in a professional manner. They did everything to cover their tracks. But what followed the murder was no less deplorable – giving an ideological colour to the crime without bothering to wait for the investigation. There are many surmises: was she killed because she was anti-establishment? Was she killed because of the rise of that right-wing that disliked her anti-Hindutva stance? Was she killed because she had upset Naxalites as she had recently mainstreamed some of them working in tandem with the Karnataka government? Is this not an irony that of late there has been a tendency to intellectualise the crime which is a remedy worse than disease? Let us assume that Gauri found herself on the wrong side of the Hindu right wing. But who rules Karnataka? 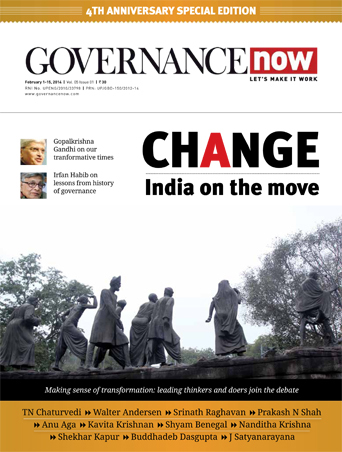 By all accounts, she had fabulous connections in the government of the day in general and Chief Minister Siddaramaiah in particular. Did she ever make any effort to lodge any complaint about any physical threat? Apparently, Gauri took the vitriol of twitterati and social media trolls against her as nothing more than perverted expression of certain so-called right wingers. And what about the irony of a State funeral for anti-establishment journalist? So was she only selectively anti-establishment? All these might be legitimate questions, but they all suffer from one common shortcoming: they are merely surmises, half-truths and conjectures. Just like the damnation of RSS-BJP by the media and the parivar's ideological opponents. Their rampage against the right is just political rhetoric. Behind this rhetorical noise, the truth that has not been highlighted is the dubious role of the state. Siddaramaiah and his ilk need to be hauled over coals for allowing criminals to have a free run in Bengaluru which figures on the international map for its information technology prowess. What kind of policing and safety measures are being adopted to make people safe and prevent such crimes in future? Such questions are rarely asked as the din on the rise of the right wing and intolerance reached its crescendo within minutes of the murder. Gauri’s killing is not the first crime which is being judged on ideological lines. The same yardstick was applied when Akhlaque was killed in Noida by cow vigilantes in 2014. The murder was despicable and exposed the worst kind of governance and policing in Uttar Pradesh, then under Chief Minister Akhilesh Yadav. But, as in the present case, a section of the intelligentsia asked for an explanation from — and only from — no less a person than prime minister Narendra Modi himself. 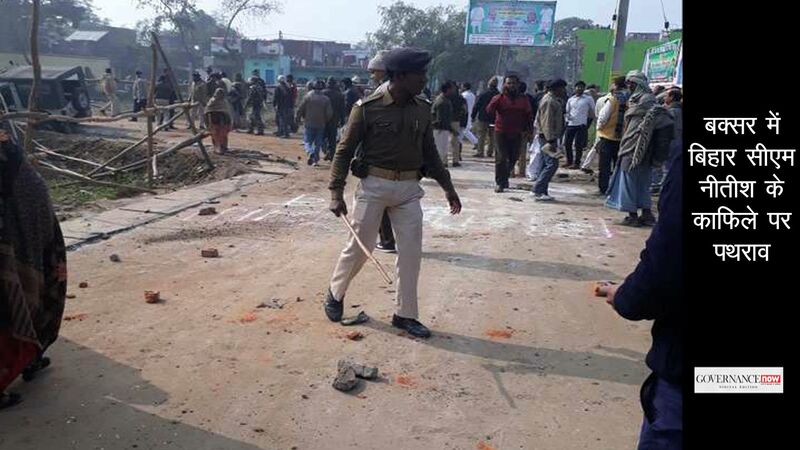 Nobody had bothered to stop and ask if Akhilesh had as much as penalised a local daroga (police station head) of Dadri, where Akhlaque was killed. Similarly, it would stretch one’s credulity to the limits if a series of murders in Kerala on account of political differences between the Sangh Parivar and the CPM are looked through the ideological prism. It can be nobody’s case that murder and mayhem unleashed by the radical left are more justifiable than those of the radical right. And there is little doubt that a section of intelligentsia has desperately tried to give an ideological colour to a despicable crime, thereby displaying Raskolniknov’s logic.